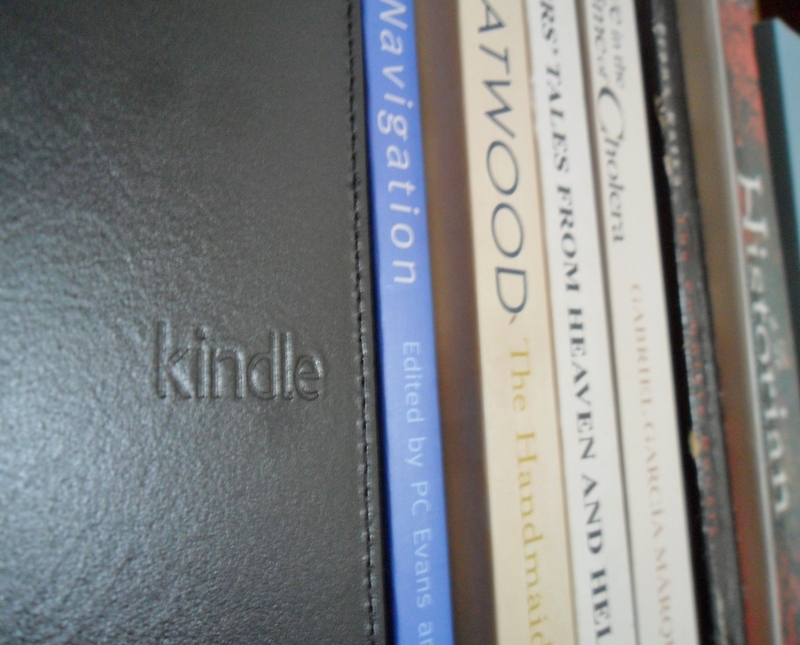 I have a kindle, I love it, I do read a couple books at a time. I’ve got a Kindle, but I still have lots and lots of real books 🙂 It’s the break between semesters for me so I’m reading Great Expectations on my Kindle (and feel terribly wicked about downloading the great Dickens for free), What Would Audrey Do? (actual factual paperback), and Through A Glass Darkly (also in paperback)…..if anything I’m actually reading more now I have a Kindle! Everytime I scroll through the thousands of books available I realise just how many more there are to read! I honestly thought I would never go to an eReader. I grew up loving the feel and smell of books, but the attraction is undeniable. The pages are still beautiful and you can control the size of the type, all your books in one place and every single one of them bookmarked where you left off. The only sensation lacking besides the tactile response of paper at your fingertips is that feeling of walking into a library seeing those shelves and shelves of books and realizing how much there is left to read. I love seeing shelves of books too. I hope that doesn’t disappear in a few decades because e-readers have taken over the world. As much as we love the practicality of them, we still want real books! Can we have both? Time will tell. I’m not a fan of e-readers. I have read a few books on my iPad, and it is convenient for travel, but I have decided that I prefer a book I can hold, turn its pages, and actually feel. I love books, and continue to prefer them overall, but I am now reading my third book using the Kindle app for the iPad. It’s especially great for being up with my baby in the middle of the night. The screen isn’t as obvious as my laptop, which distracts her, and I get quality reading done without turning on any lights. I’ll definitely bring the iPad when traveling with the family, especially when we’re sharing a room and I want to read before bed. Guess I can’t let go of the books. Not yet. And I am not a Luddite either! I agree! I’ve had it for a while now and I’m still using it as much a I did when it was new so I know it’s not just a novelty! Thanks for posting your articles so often. Every day I access your website and check for updates. What a great article. Really informative. its was really valuable. thank you very much.